FunZone Alert! Niagara Inflatables is going to have a FunZone at the Downtown Sudbury Ribfest. 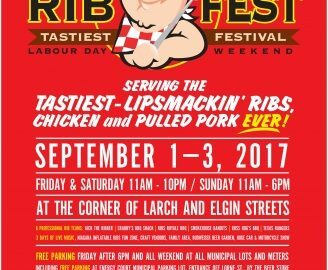 If you’re heading up North to take advantage of the Labour Day Long Weekend, and you are in or around Sudbury, make sure to stop by Northern Ontario’s Largest Ribfest Festival. The festivlal runs September 1st -3rd, and we are going to have our popular Niagara Inflatables FunZone on the 2nd and 3rd! Learn more about the Downtown Sudbury Ribfest on their event page. Where: Corner of Larch and Elgin Streets.